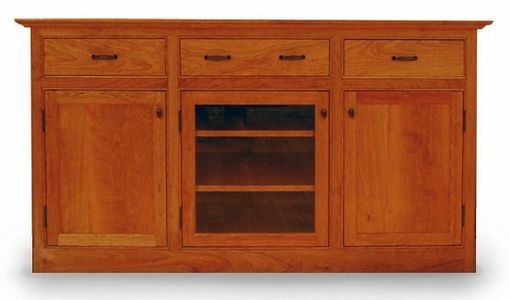 Shaker styles, cherry television cabinet with three self closing drawers made of maple with dovetail construction. Three solid cherry doors to hold entertainment equipment with center door antique glass with pull out shelves. Top hutch also available. Hand rubbed oil finish. Each piece is hand made and takes four to six weeks to construct.